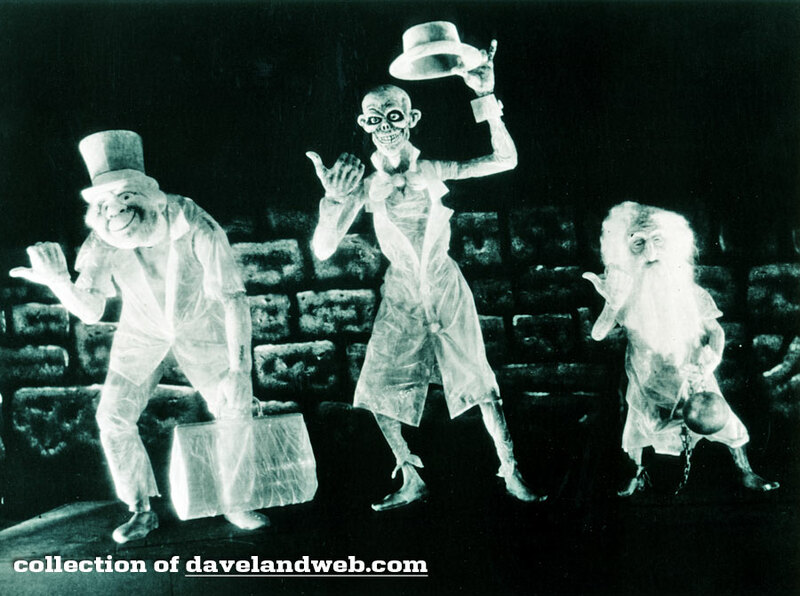 Disney first approached Imagineer Ken Anderson about the idea for a haunted attraction in 1957. Originally planned as a walk-through attraction, it would have involved maids or butlers guiding guests through the mansion and telling them about the tragic tale of a sea captain and his bride. Also planned was a “Museum of the Weird,” which would have showcased strange creatures and odd, interactive illusions. Construction of the Haunted Mansion’s façade began in 1962 and was finished in 1963. The building sat empty after Disney and his Imagineers focused on the 1964-65 New York World’s Fair. It remained that way following Disney’s death in 1966 as Imagineers, now left to their own devices, struggled to decide what to do with the attraction. Although the Haunted Mansion is located in Disneyland’s New Orleans Square and appears to be a typical antebellum manse, it was inspired by a home almost 999 miles to the north—Baltimore. The Shipley-Lydecker House was built in Baltimore in 1803. Many Haunted Mansion experts think that three films were major inspirations for the Imagineers as they completed the attraction—La Belle et La Bete, Jean Cocteau’s 1946 version of Beauty and the Beast; The Haunting, Robert Wise’s 1963 adaptation of Shirley Jackson’s novel The Haunting of Hill House; and the 1927 version of The Cat and the Canary. Design elements from all three movies can be seen in the ride itself. 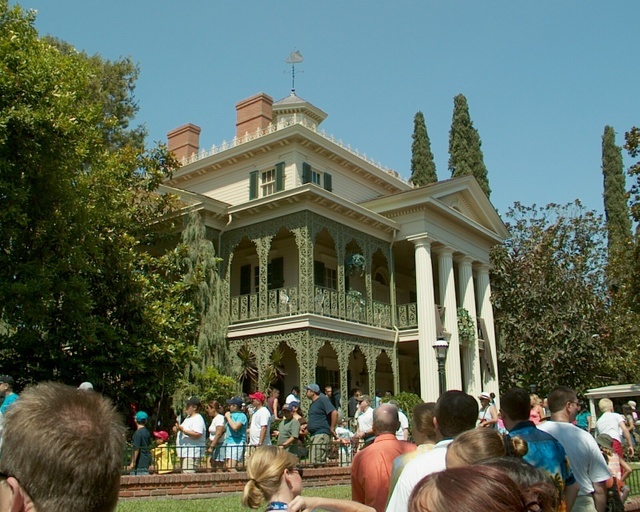 According to an official Disneyland press release from 1969, the Haunted Mansion cost $7 million to develop and build. That translates to roughly $45 million today. From the very beginning, Disneyland press materials touted that 999 ghosts resided in the mansion. While the number of actual ghostly figures in the attraction has never been officially tallied, it is generally acknowledged that there’s always room for one more. The Haunted Mansion is the only Disney attraction to be featured in different lands at each of the five Magic Kingdoms. In Disneyland, it’s in New Orleans Square. At Walt Disney World, it’s located in Liberty Square. It resides in Fantasyland at Tokyo Disneyland and in Frontierland at Disneyland Paris, where it’s known as Phantom Manor. At Hong Kong Disneyland, a completely different attraction known as Mystic Manor is located in Mystic Point. 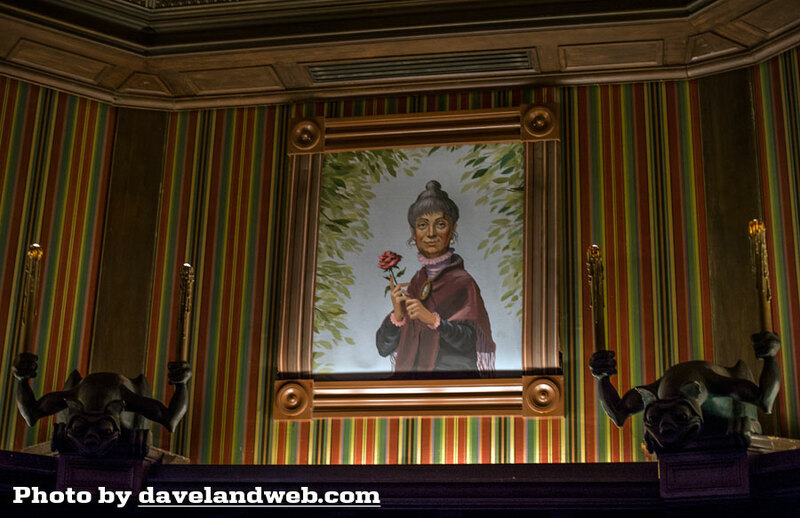 The world-famous stretching rooms, in which guests are introduced to the attraction’s “Ghost Host,” descend at Disneyland’s Haunted Mansion and at Phantom Manor in Disneyland Paris. At Walt Disney World and Tokyo Disneyland, the ceiling rises while guests remain on the same level. The voice of the Ghost Host was provided by actor Paul Frees, who was also the voice of Boris Badenov on The Rocky and Bullwinkle Show and the Disney character Professor Ludwig von Drake. The voice of the main singing bust in the graveyard scene belongs to Thurl Ravenscroft, who voiced Tony the Tiger. Madame Leota, the disembodied head inside the crystal ball, is the voice of Eleanor Audley, who also provided the voices of Maleficent in Sleeping Beauty and the Wicked Stepmother in Cinderella. The dancing ghosts in the ballroom are created using a theatrical effect that’s been around since the early 1800s. 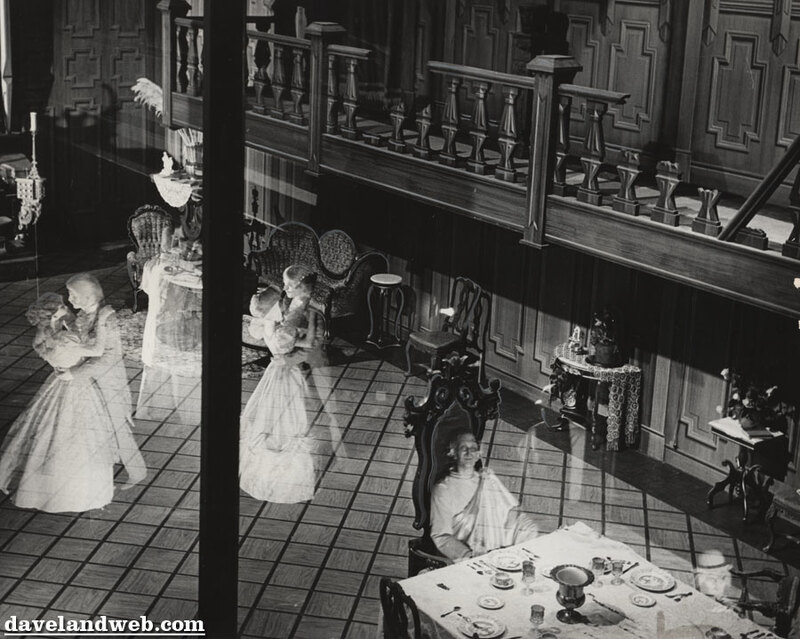 Called the Pepper’s Ghost illusion, it’s a relatively simple trick in which illuminated objects are reflected onto a pane of glass, making them appear translucent. It’s named after John Henry Pepper, who popularized the effect. 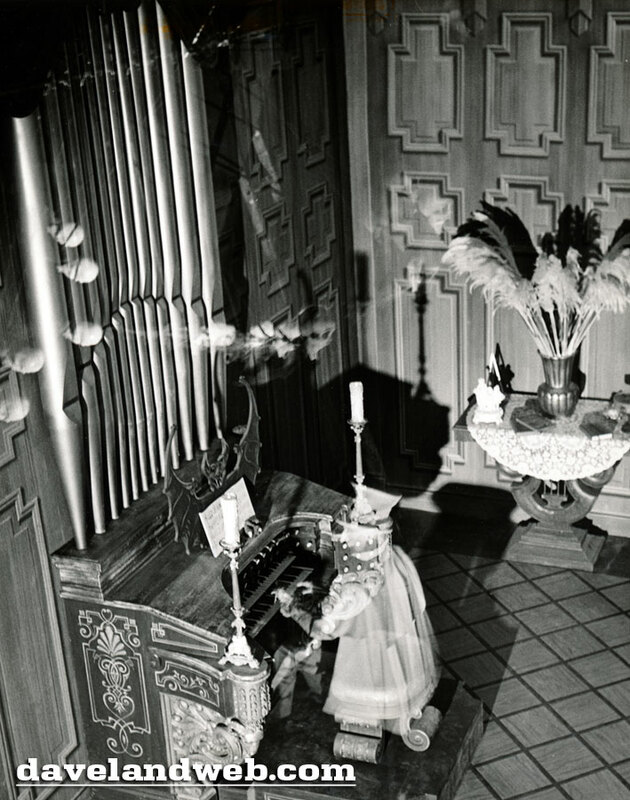 At Disneyland, the pipe organ played by a spectral musician in the ballroom scene is the same organ used by James Mason as Captain Nemo in Disney’s 20,000 Leagues Under the Sea. The prop was modified for use in the Haunted Mansion. The organs used in other versions of the ride are replicas of the original. Both the Disneyland and Walt Disney World versions of the ride have a small pet cemetery located outside the mansion. In Walt Disney World, one can see a tombstone for J. Thaddeus Toad, the hero of the park’s long-gone attraction Mr. Toad’s Wild Ride.